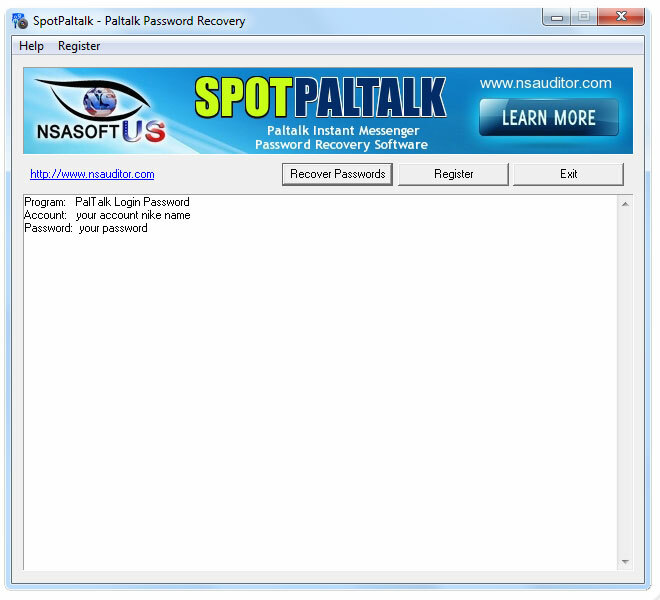 SpotPaltalk recovers Paltalk instant messenger passwords, as well as passwords for AOL, Google, Facebook, MSN, Yahoo and ICQ saved in Paltalk messenger. The passwords are automatically recovered, if they are saved on the local system. Download this software and use it to recover your lost myspace password info. The software will try and recover your myspace password that you used to use to login to your myspace account from your computer.